New Year - New Lowered Pricing - New Renovations - New Specials! Resting at the intersection of Buffalo Grove and Dundee, Arlington Club is often called “the hidden gem” in Wheeling apartments. Tucked peacefully off the main roads, Arlington Club may be the perfect marriage of suburban charm and urban convenience. Residents love the tranquility of our community’s perfectly manicured landscape, but it is our luxe amenities and prime Chicagoland location that surely seals the deal. Offering both classic and newly renovated apartments, each one- and two-bedroom apartment home offers comfortable interiors and conveniences. Arlington Club is also home to resort-class exterior amenities including a 24-hour fitness center and heated outdoor pools and hot tubs. To sweeten the deal, our community is at the heart of the award-winning Buffalo Grove school district and only minutes from popular dining and entertainment such as the Buffalo Grove Golf Course, Chevy Chase Country Club, Portillo’s, and Lou Malnati’s Pizzeria, which is just around the corner. Buffalo Grove, Arlington Heights, and Northbrook are also within very short driving distance. Once settled into your home at Arlington Club, residents enjoy the warmth and natural sunlight of our beautifully oversized windows. Newly renovated apartments feature elegant, low maintenance vinyl flooring as well as large walk-in closets that make organization effortless. Another welcome addition to our newly renovated homes are updated kitchen finishes. These gourmet kitchens are a showpiece all on their own and come equipped with a range of ultramodern amenities including granite countertops, grey tile backsplashes, stainless steel appliances, and beautiful white shaker style cabinetry. Additionally, every home includes central air conditioning, a separate dining room, and for resident peace of mind, an individual private entrance. Select homes feature vaulted ceilings and private resident balconies, and along with our fitness center and heated pools, residents are granted exclusive access to the community’s private clubhouse, dog park, and 18-acre nature park with walking trails.  Discover Arlington Club today and experience the leading Wheeling apartments for rent. Our professional sales team can’t wait to meet you!